suzept and unswept wings and tail surfaces of arbitrary stifness. to facilitate calculations by means of the method. 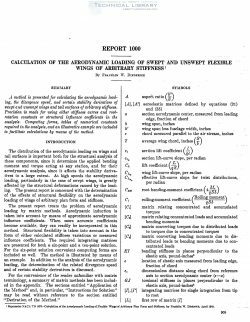 loading of wings of arbitrary plan form and stiffness. are presented for both a. six—point and a ten-point solution. and of certain stability derivatives is discussed.